Secretary-General António Guterres and other senior United Nations officials have paid tribute to Babatunde Osotimehin, the Executive Director of the UN Population Fund (UNFPA), who passed away suddenly this morning at the age of 68.
women and girls in particular,” said Secretary-General Guterres in a statement. A renowned global public health leader, Dr. Osotimehin was widely regarded for his work on sexual and reproductive health. 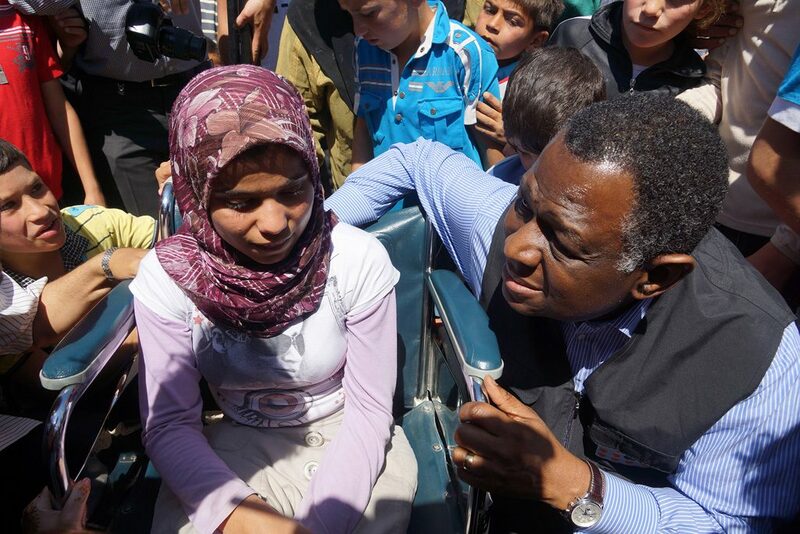 He was appointed as the head UNFPA in November 2010 and assumed office on 1 January 2011. He also held seniorpositions in the Nigeria, including the country’s Minister of Health. In his statement, the UN chief also recalled Dr. Osotimehin’s “calm yet ardent efforts” that helped families avail of sexual and reproductive health services they needed, as well as his work in helping the world advance the landmark 1994 Cairo Programme of Action on Population and Development, which continues to serve as a comprehensive guide to people-centred development progress. “His voice was invaluable over the years, including his time as Nigeria’s Minister of Health, in pressing for family planning, women’s education, children’s health and action on HIV/AIDS as vital ingredients in human progress,” he added, offering his sincere condolences to Dr. Osotimehin’s family, the staff of UNFPA as well as to the Government and people of Nigeria. Also today, UNFPA said that Dr. Osotimehin’s passing was a “devastating” loss for the agency and the people – especially women, girls and youth – to whom he dedicated his life. greatest hope for the future,” read a statement issued by the UN agency. UNFPA is dedicated to continuing Dr. Osotimehin’s grand vision for women and young people and will continue to stand up for the human rights and dignity of everyone, particularly the most vulnerable adolescent girls, the statement added. In a separate statement today, Antohony Lake, the Executive Director of UN Children’s Fund (UNICEF) also mourned Dr. Osotimehin’s passing. For his part, the head of the Joint UN Programme on HIV/AIDS (UNAIDS), Michel Sidibé, also recalled the life and work of Dr. Osotimehin, noting that he will be remembered for improving the lives of women and young people and promoting sexual and reproductive health. “Young people have lost a champion today,” Mr. Sidibé added. Officer of the Order of the Niger in December 2005. He led several councils, including in the World Economic Forum.